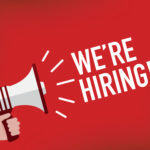 RACQ wants to reward Queensland’s teachers for all their hard work! Show your appreciation by writing a thank you note to a member of our teaching community. 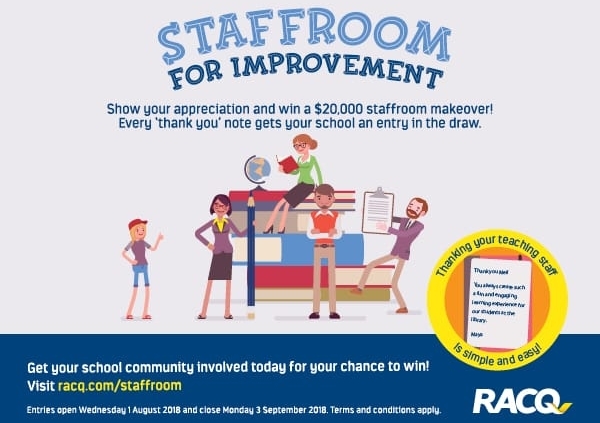 Every thank you note places your school in the draw to win a $20,000 staffroom makeover. Thank you notes can be written by everyone! 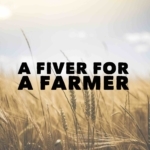 Also, two runner-up prizes of a $1,000 eftpos gift card are up for grabs and the school with the most entries will receive a $1,000 eftpos gift card. So, let’s get everyone saying ‘thank you’ to our amazing teachers. 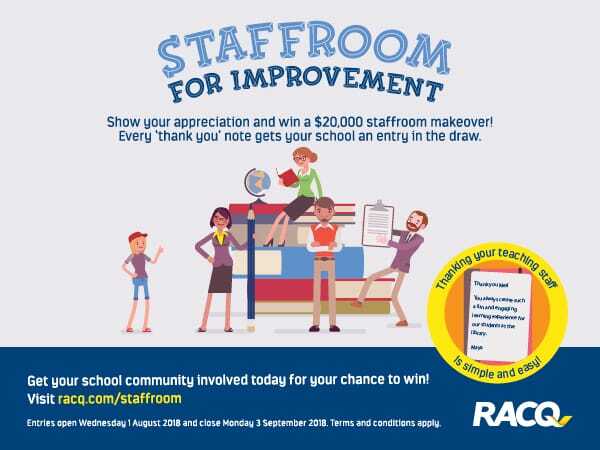 Visit racq.com/staffroom to enter. Terms and conditions apply.